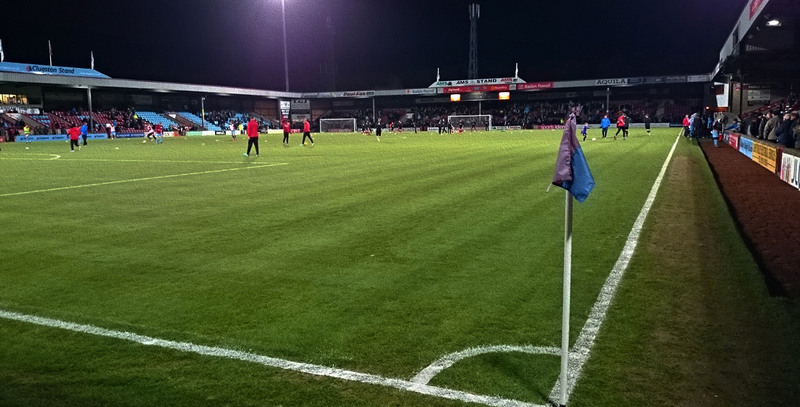 Glanford Park got built in the 1980s to replace Scunthorpe’s Old Show Ground. It was the first new English Football League stadium to be built since Southend’s Roots Hall in 1955. First plans called to incorporate the Old Show Ground’s cantilever stand, the first cantilever stand to be built in England. However, a move of the old stand turned out to be not feasible. 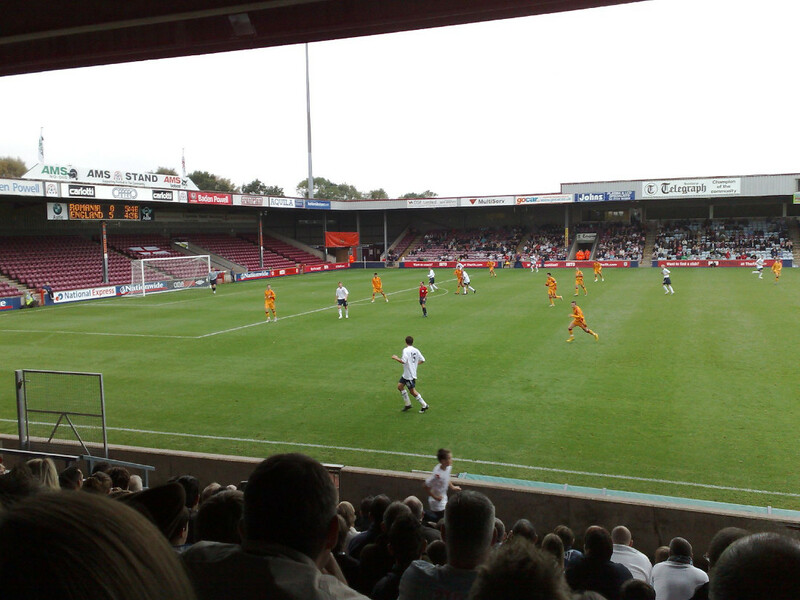 Glanford Park officially opened on 14 August 1988 with a friendly between a Scunthorpe XI and a Football League XI. The stadium got its name from Glanford Borough Council who had financed the stadium. The stadium came at a cost of £2.5 million. 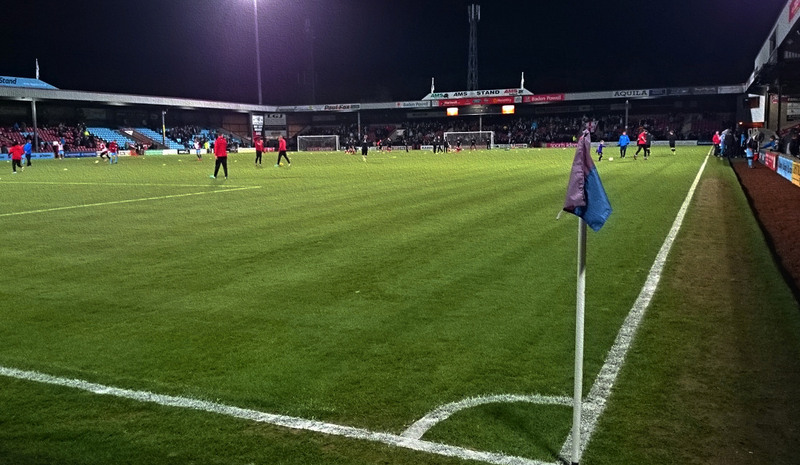 In 2014, Scunthorpe started investigating moving to a new stadium, however plans were dropped again in 2017 and the club is now looking to redevelop Glanford Park. Glanford park is located on a retail park on the western edge of the town of Scunthorpe at about 2 miles from Scunthorpe’s town centre and a similar distance from Scunthorpe’s rail station, which is located south of the centre. The stadium can be reached by bus from the bus station in the town centre. Buses include the 31, 32, 35, 90, and 361, though service can be infrequent, especially in the evening hours. Direct trains connect Scunthorpe with Sheffield and Doncaster. From other destinations a change in Doncaster is needed. Scunthorpe tickets can be bought online, or at the ticket office at the stadium. Tickets are also available at the ticket office on the day of the match. Scunthorpe rarely sell out. Tickets come in two price categories. Seats for Cat B games, the cheapest, range in price from £22.00 to £30.00. Standing costs £18.00. Cat A tickets are £1.00 more expensive. Buying on the day of the match is £3.00 more expensive. Scunthorpe-united.co.uk – Official website of Scunthorpe United FC.